I am getting feedback from loyal readers and subscribers to the Municipal Minute blog that they are not regularly receiving blog updates via email or RSS feed. In looking into this issue, it seems as if the problem lies with Feedburner, the service I use to send out email and RSS updates. If you did not receive today's blog post (Ethical Advertising Rules Apply to Lawyers) or yesterday's blog post (Local Government Law Seminar in December), please send me an email or comment to this post. Unfortunately, it does not look as if Feedburner is doing anything to fix this known problem. I would like to avoid moving all of my subscribers to another service because it will require everyone to revalidate your subscriptions. However, if the blog posts are not going out, it may be necessary. Thank you for your response and support! Lawyers are subject to a variety of rules of professional conduct, including restrictions on advertising. These rules of professional conduct differ from state-to-state, and are often enforced by the state supreme court, state bar association, or state attorney disciplinary commission or association. The attorney appealed to the Virginia Court of Appeals, claiming that the blog constituted political speech, not commercial speech, so it was not subject to the advertising requirements. The court of appeals overturned the bar's ruling that the blog violated Rule 1.6, finding that the information was all public information and the attorney had First Amendment rights to report on what happened in a courtroom. However, the court of appeals did find that the blog posts were commercial, rather than political, speech and required the attorney to post the following disclaimer: "Case results depend upon a variety of factors unique to each case. Case results do not guarantee or predict a similar result in any future case." On appeal, the supreme court agreed with the court of appeals that the attorney did not violate client confidentialities in reporting on public case information. The court also affirmed the court of appeals ruling that the speech was commercial, not political, and therefore subject to the advertising requirements. The supreme court also upheld the disclaimer requirement for case-related posts. The attorney appealed to the U.S. Supreme Court, which denied certiorari. You can read the case here, and a detailed analysis of the case on the American Bar Association's website. The Village of Hobart, Wisconsin enacted an ordinance imposing storm water management fees on all land within the Village to finance the construction and operation of a storm water management system. Members of the Oneida Nation of Wisconsin, an Indian tribe, sued the Village, claiming that the Village was prohibited from imposing the fee on 148 parcels of land owned by the Oneida tribe. The tribe relied on federal law that prohibits the taxation of "tribal trust land." In this case, the 148 parcels of land were located throughout the Village rather than within the confines of an Indian reservation. The district court ruled for the tribe, and the Village appealed to the Seventh Circuit. Oneida Tribe of Indians of Wisconsin v. Village of Hobart, Wisconsin. The Seventh Circuit stated the question of the case as follows: Has the federal government authorized municipalities to assess fees on Indian land in the Village to pay for its storm water management program? Although the court acknowledged that municipalities have some limited authority over Indian territory within their boundaries, in this case the Village had no authority to impose fees to fund its storm water management program because federal law forbids states and local authorities to tax Indian lands. The storm water fees, in this case, were more in the nature of a tax because it is designed to generate revenue to pay for a government project, not a fee for a service provided to a particular property owner. As a result, the appellate court agreed with the district court that the storm water management fees could not be imposed on Indian land. A federal circuit court recently held that the Lanham Act (15 U.S.C §1051) prevents municipalities from obtaining federal trademark protection for their official seals and insignias. In the consolidated cases of In Re City of Houston & In Re Government of the District of Columbia, (October 1, 2013), the City of Houston and the District of Columbia had filed applications to register their respective government seals/insignias as trademarks under the Lanham Act. In both cases, the U.S. Patent and Trademark Office denied the applications, citing §2(b) of the Lanham Act as prohibiting municipalities from registering city seals on the federal register. Both cities appealed the decision to the Federal Circuit, and the cases were consolidated. The Lanham Act allows an applicant to register its mark on the principal register, but only if the mark complies with the provisions of the Act. Section 2(b) of the Act provides that an applicant is prohibited from registering a proposed trademark that "[c]onsists of or comprises the flag or coat of arms or other insignia of the United States, or of any State or municipality, or of any foreign nation, or any simulation thereof." The Federal Circuit cited Section 2(b) in upholding the administrative denial of the two trademark applications. The court concluded that municipalities may have other means of "preventing 'pirates and cheats' from using its city seal to deceive the public" such as passing an ordinance to prohibit such activity. Alternatively, the court suggested that municipalities could seek a legislative amendment from Congress. As you know, Illinois recently enacted the Firearm Concealed Carry Act to allow limited concealed carry in the state. Certain facilities in the state are listed in the new law as "prohibited areas" where the carrying of a firearm is banned. 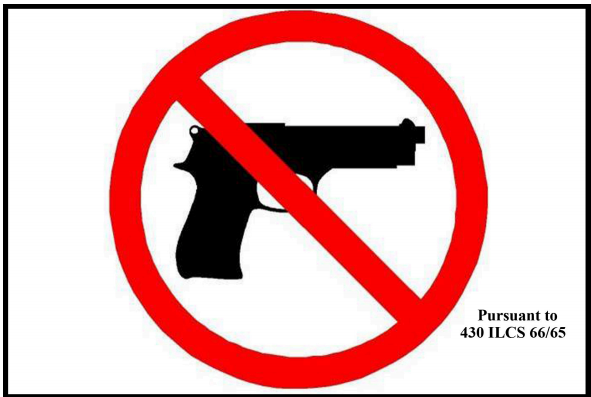 These banned facilities must "clearly and conspicuously" post 4" x 6" standardized signs approved by Illinois State Police ("ISP") at the entrance informing the public that firearm possession is not allowed. The approved sign should be posted in prohibited areas as soon as possible. However, local governments may want to consider using a temporary sign at this time because the ISP is considering proposed rules that would allow prohibited areas to install larger signs that include additional language. The proposed rules will be subject to a hearing in December 2013, and we will keep you posted on these draft rules. A bicyclist suffered injuries when he struck a large pothole in an alley. The bicyclist sued the City for negligence. The City then filed a motion to dismiss, contending that Section 3-102(a) of the Tort Immunity Act provided the City immunity as the bicyclist was not an intended user of the alley. The bicyclist argued that he was an intended user of the alley by presenting a bicycle map and arguing that his bicycle qualified as a “vehicle” under the municipal code. The circuit court ruled in favor of the City, finding that Section 3-102(a) granted the City immunity. The trial court reasoned that the bicycle did not qualify as a vehicle, and as such, the bicyclist was not an intended user of the alleyway. On appeal, the bicyclist argued that the circuit court erred in dismissing his complaint. The appellate court affirmed the circuit court’s dismissal, finding that the alley was not intended for bicycle use. The court noted that the Illinois Supreme Court has advised that Section 3-102(a) “only imposes a duty of ordinary care on municipalities to maintain property for uses that are both permitted and intended.” The appellate court noted that nothing in the alley suggested that it was intended for bicycle use. Ultimately, the court determined that while bicyclists were permitted to use the alley, they were not the intended users. Baez v. City of Evanston, 2013 IL App (1st) 123763 (Sept. 27, 2013). In 2011, Illinois passed Public Act 96-1544, a so-called "click-through" (aka "Amazon tax") law that imposes the state sales tax on out-of-state internet retailers that have a contract with a person in Illinois who displays a link on his or her website. This type of contractual relationship is known as "performance marketing" and involves an affiliate relationship between the person who hosts the link and the retailer. Shortly after the law was enacted, a trade group that represents performance marketing businesses filed a lawsuit claiming the law was unconstitutional because it imposed a use tax on activities that lacked a substantial nexus with the state of Illinois and the law was preempted by federal law. The trial court ruled in favor of the plaintiffs, and the state appealed. In Performance Marketing Assoc., Inc. v. Hamer, the Illinois Supreme Court struck down the state law, finding it preempted by federal law. The Internet Tax Freedom Act prohibits a state from imposing discriminatory taxes on electronic commerce. The plaintiffs argued that the state tax applied only to out-of-state internet retailers who entered into affiliate agreements to publish links on the internet, but did not apply to retailers who enter into affiliate agreements with print or over-the-air publishers or broadcasters. As a result, the use tax discriminated between out-of-state retailers based on the method of publication of the affiliate advertisement (Internet vs. other broadcast). The Illinois Supreme Court agreed, finding the use tax discriminatory because it treated like agreements differently. The Court did not address the unconstitutional argument, having found the tax invalid based on the preemption argument. In 2009, the Park District filed an application under the Park Commissioners Land Sale Act (the “Act”), 70 ILCS 1235/1, to sell 2.82 acres of land the Park District Board of Commissioners deemed, by resolution, no longer necessary or useful for park purposes. An association known as “La Grange Friends of the Parks” (“Objector”) filed an objection under the Act, and after a trial, the circuit court entered an order authorizing the Park District to sell the land at a price to be established by calculating the average of three appraisals. The Objector appealed. The court first concluded that the Park District has the authority to pass resolutions in support of its application under the Act. Next, the court rejected the Objector’s contention that a separate transfer of an adjacent parcel caused the application to exceed the 3 acre jurisdictional limitation in the Act, finding that the Act allows the Park District to transfer more than one parcel within one park in separate transactions. This arrangement did not amount to impermissible “subterfuge” to get around the jurisdictional limitation in the Act. In reviewing the conduct of the trial court, the appellate court concluded that the Park District’s determination that the land was not needed or useful, and that the selling of the land would benefit the park, was not arbitrary and capricious. The court concluded the public trust doctrine only applies to submerged land, and even if it did apply, the financial benefits to private interests from the sale are incidental to public purpose of the sale. Finally, the court recognized that the Park District presented ample evidence that the land provided little value to the public, and that the benefits from the sale were in the public interest. As a result, the sale of the land bore a real and substantial relation to the general welfare, and was a rational means to accomplish a legitimate purpose. Loyal readers know that we post summaries of all binding opinions of the Public Access Counselor of the Illinois Attorney General's office on the blog as soon as they are issued to keep our local government friends updated on recent developments in the area of the Open Meetings and Freedom of Information Act. You can find detailed summaries of each binding PAC opinion on this blog, as well as indexes of the opinions from 2010, 2011, and 2012. In this post, we have consolidated the 2013 opinions issued to-date. In these virtually identical opinions, the Chicago Public Schools, the villages of Caseyville and Cleveland, and Chicago State University all violated sections 3(d) and 9(a) of the FOIA by failing to respond to a request for records within five business days. Each governmental body also failed to participate in the PAC’s review process. The Chicago Park District Board of Commissioners took improper final action by voting to increase admission fees at three museums, when that topic was not on the agenda for the open meeting. The agenda stated: "Communications and Reports: Committee on Programs and Recreation," without identifying the particular subject matter from the earlier committee meetings that would be addressed with final action by the board. The Western Illinois University Board of Trustees violated section 2(e) of the OMA by taking final action in a closed meeting. Although the board was authorized to discuss the employment of a tenured faculty member during closed session, the board improperly took final action by voting in the closed meeting to terminate the employee. The Edgar County Airport Advisory Board violated OMA section 2(e) when it voted by secret ballot to recommend to the county a candidate to fill a vacant seat on the advisory board. The board read aloud the names of candidates during a public meeting, the members voted on paper ballots, and the results of the vote were stated publicly, without disclosing the members’ individual selections. The Board of Education for Springfield Public School District No. 186 violated OMA section 2(e) by taking final action on an employment separation agreement in closed session. The board signed the agreement in closed session on February 4, but did not vote on the matter in an open meeting until March 5, some five days after the PAC sent notice to the board of the complaint filed against it. The board also failed to record some of its closed sessions in violation of section 2.06(c), and it failed to summarize the closed-session discussions in violation of section 2.06(e)(3). The New Lenox Public Library District Board of Trustees violated the OMA by failing to record and enter into its closed-session minutes the basis for asserting that litigation was probable or imminent. The PAC found that the board’s reasons for believing the litigation was probable or imminent were justified and the closed-session discussions were appropriate, but the failure to record those reasons in the minutes violated section 2(c)(11) of the Act. In a rare decision in favor of a governmental entity, the PAC determined the Board of Education for Springfield Public School District No. 186 did not take final action in a closed session, as alleged by the complaining party, nor did it violate section 2(e) of the OMA because it adequately informed the public of the nature of the business being conducted before it voted in an open meeting to appoint an interim superintendent. The board properly discussed candidates in closed meetings and "informally agreed" on the likely appointee, but the board followed those discussions with a duly noticed open meeting during which it voted on the candidates. The City of Bloomington violated FOIA section 7(1)(n) by improperly withholding investigatory records and citations related to a traffic accident involving the city’s assistant chief of police. The PAC found the city never "adjudicated" the underlying allegations against the police chief, and therefore the records related to the imposition of final discipline were not exempt from disclosure. The UNO Charter School Network ("UCSN") violated FOIA section 3 by failing to provide records that were in the possession and control of its subsidiary organization, UNO Advantage Charter School, Inc. ("UNO"). The PAC found that UCSN was the "governing body" of UNO, and both were subject to the FOIA pursuant to the Illinois Charter Schools Law. The two organizations were so closely related that the PAC ruled UCSN had control of documents that were in the possession of UNO, and therefore UCSN should have provided all requested documents from both entities. The City of Harvey violated FOIA sections 3(d) and 9(a) by failing in part to respond to a request for records within five business days. The city timely provided some of the requested documents, but additional records could not be located and therefore were not disclosed. The PAC ruled that failing to provide records that cannot be located is a denial of the FOIA request, and the city’s failure to inform the requester of this denial violated the Act. The Board of Trustees of the Broadlands-Longview Fire Protection District violated OMA section 2.01 by holding a special meeting at a location that was not "convenient and open" to the public. The board held the meeting at its attorney’s law office in Springfield, which is some 26 miles from the board’s regular meeting place at the fire station in Broadlands. The Illinois State Police violated FOIA by failing to turn over preliminary monthly crime report statistics submitted to the ISP by the Harvey Police Department. The ISP had denied the request based on the "draft document" exception, arguing that the statistics were still preliminary in nature, and had not yet been reviewed or published by the ISP. The PAC disagreed, concluding that the mere fact that records are subject to review and further revision does not render them preliminary for purposes of the preliminary records exception. A school district in violation of the Open Meetings Act because it failed to name the employee when it took final action to terminate the employee in open session. The PAC rejected the district's argument that it was protecting the reputation and privacy of the employee by not disclosing the employee's name in its vote, concluding that taking "final action" without disclosing the name of the employee terminated by the school district board deprived the public "of any meaningful information concerning the practical effect of the Board's decision." Come say hello at the 2013 Illinois Municipal League Conference. The three-day event kicks off on Thursday, October 17, at the Hilton Chicago. Catch up with Ancel Glink attorneys by attending the sessions listed below. If you can't attend any of the sessions (and you really should), feel free to flag us down between presentations or at one of the IML networking events. Every fall, municipalities and park districts face a barrage of resident inquiries about how to address a neighbor’s tree that is dropping leaves (or, worse yet, branches) onto their property. Before readying your blue ox and grabbing your axe (or your trusty Husqvarna), it is important to understand your rights and obligations concerning trees. Midnight felling sessions can lead to big legal headaches and not-so-neighborly encounters at the summer block party. As an initial matter, it is necessary to determine where the tree is located. Under Illinois law, a tree that straddles a property line is considered to be jointly owned by both property owners. In other words, if any portion of a tree trunk (i.e., where the tree meets the ground) is located on your neighbor’s property, you cannot cut the tree down without first obtaining your neighbor’s consent. You may, however, remove branches overhanging your property that damage your property (e.g., dead branches, branches interfering with your chimney or satellite dish, etc.) as long as it doesn’t interfere with your neighbor’s use of the tree. Similarly, municipalities may trim trees that straddle public streets if the trees damage the street, inconvenience the public’s use of the street, or obstruct the street. So, what can you do if a tree is located entirely on your neighbor’s property, but its branches or roots cross over onto your property? This situation is more complex. Property owners interested in avoiding trespassing charges cannot walk on to their neighbors’ property and start lopping down trees. Further, Illinois courts have been reluctant to encourage lawsuits stemming from extra leaf raking or roots disrupting flower beds. Instead, courts have indicated that property owners may trim overhanging branches at the property line if the branches damage or harm the property owner’s land. Courts also impose a duty on the owners of property in residential and urban areas to exercise reasonable care to prevent an unreasonable risk of harm from defective or unsound trees. Stated differently, the owners of residential or urban property must keep an eye on their trees and address dangerous conditions before they become a problem. Notably, this duty does not appear to apply to property owners in rural areas, where properties tend to be larger, with more trees, and more challenging to oversee. As often is the case, the best advice for frustrated property owners is the simplest: try to come to an agreement with your neighbor before doing any work. In many cases, your neighbor may not be aware that his beloved 40 year old elm tree is peppering your car with a steady torrent of sap. Simply communicating the damage that their tree is causing to you and your property may be enough to fix the problem. On June 17, 2013, Illinois Governor Pat Quinn signed in to law the Hydraulic Fracturing Regulatory Act (the "Act"), which allows, but heavily regulates, hydraulic fracturing operations in Illinois. Widely regarded as the strictest set of fracking regulations in the U.S., the Act may provide a consensus path forward for other states bitterly divided over the practice. But, if successful, which provisions will be the model for the future-the performance standards or administrative requirements? You can finish reading this article, and learn more about recent land use cases and developments, here: In the Zone Land Use E-News (Fall 2013) or visit Ancel Glink's Resource Center for other land use publications. Sadly, the Chicago Bears lost to the New Orleans Saints last Sunday. But, I do have an interesting municipal case about the Bears today involving the sale of PSLs (permanent seat licenses) and the City of Chicago's amusement tax. Starting in 2002, the Chicago Bears sold "permanent seat licenses" or PSLs as a means to finance renovations to Soldier Field. PSL's do not allow individuals to attend an event, but give the PSL owner the right to purchase a season ticket for a specific seat location. After the City of Chicago began imposing the City's 9% amusement tax on the transfers of PSLs in 2009, a class action of PSL owners sued the City on a number of grounds, including that the tax was improperly imposed because a PSL is not an admission fee nor does it give the PSL owner any right to enter or attend an event that would fall within the definition of amusement under the City's ordinance. The trial court ruled in favor of the City, and the class appealed. In Stasko v. Chicago, 2013 IL App (1st) 120265 (September 30, 2013), the appellate court affirmed the trial court and upheld the City's imposition of the amusement tax on the initial sale of the PSL by the Bears as well as any subsequent sales of the PSL in the aftermarket. First, the appellate court held that the City had the authority to charge an amusement tax based on its home rule authority. Second, the court determined that the price paid for a PSL constitutes part of the charge to view an amusement, and the fact that a second step was required to enter the stadium (i.e., purchase of a season ticket) did not take away from the fact that this was a taxable "amusement". The court emphasized that an individual buying a PSL is paying for the privilege of viewing an amusement, and that person would not buy a PSL if it didn't intend to view a Bears game. Finally, the court rejected the class' argument that the PSL was an unconstitutional occupation tax, since the charge is for the privilege to view an amusement, not to engage in the business of professional football. 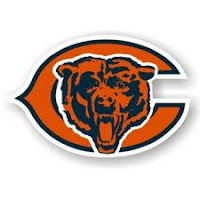 FYI - The Bears play again tonight, against the 0-5 New York Giants - GO BEARS! Local governments find themselves defending a significant number of trip and fall cases involving municipally maintained sidewalks. The issue of liability often turns on two factors: (1) did the municipality owe a duty to the plaintiff and (2) if yes, did the municipality breach that duty? At issue in a recent appellate court case was the first factor - did the City of Centralia owe the plaintiff a duty of reasonable care in maintaining a section of sidewalk that allegedly caused plaintiff's injuries? The appellate court answered that question in the affirmative, and sent the case back to the trial court to determine whether the City's actions (or in this case, inactions) breached that duty in Bruns v. City of Centralia, 2013 IL App (5th) 130094. The plaintiff tripped over a raised section of sidewalk in entering an eye clinic appointment, injuring her shoulder and arm. Over time, an adjacent tree's root system had caused a concrete section of the sidewalk to crack and create an uneven section about three inches above the adjacent concrete slabs and grass. The clinic had previously reported the defective condition on numerous occasions and had offered to remove the tree at the clinic's expense. However, the City refused removal of the tree because the City's tree committee had determined the tree had historic significance. At trial, the City's public works foreman testified that the sidewalk was hazardous and a danger to pedestrians. He also acknowledged that the City knew about the condition. Nevertheless, the trial court determined that the City owed no duty to the plaintiff or others to maintain the sidewalk. The appellate court disagreed, first finding that the City, as the owner of the sidewalk, owed a duty to maintain the sidewalk in a reasonably safe condition. Further, dangerous conditions must be removed or corrected, or a warning must be provided. Although an owner owes no duty to guard against injuries from open and obvious dangers, the appellate court held that the "distraction" exception applied in this circumstance because it was reasonable to foresee that an elderly patient of an eye clinic may not be focusing on the sidewalk when accessing the clinic. The court focused on the circumstances leading up to the injury, particularly the City's knowledge of the dangerous situation for years and its refusal to correct the condition, as well as previous incidents involving that particular sidewalk condition. As a result, the court sent the case back to the trial court for a determination of whether the City breached its duty of reasonable care to the plaintiff. Governments are not always responsible for all injuries that occur on sidewalks or other public property, however. Recall the case we reported on in August, Zameer v. Chicago. In that case, the court ruled that the municipality was not liable for a sidewalk condition where it did not know about the defective condition. In Zameer, the Plaintiff alleged that she broke her wrist, requiring surgery, when she tripped and fell on a Chicago sidewalk due to a difference in height of two inches between two sidewalk slabs. The Trial Court dismissed the complaint and the Appellate Court affirmed. The Appellate Court opinion talks about the Illinois Tort Immunity Act: “The purpose of the Act is to protect local governments and their employees from liability arising out of the operation of government, and the Act therefore grants immunity and defenses…the Tort Immunity Act provides the local public entity, shall not be liable for injury unless it is proven that it has actual or constructive notice of the existence of such a condition that is not reasonably safe in reasonably adequate time prior to an injury to have taken measures to remedy or protect against such condition”. The Court goes on to say that the question of notice is generally one of fact. Where, however, a condition has existed for a length of time, or is so conspicuous, that authorities exercising due diligence might have known of it, the Plaintiff can establish notice without proving that the government actually knew of the condition. In addition, the actual notice of facts which would put a reasonably prudent person on inquiry render the authorities chargeable with knowledge of any fact that might be discovered by reasonable investigation. In an effort to prove that notice was or should have been present, the Plaintiff presenting evidence that there were multiple prior complaints about the sidewalk on the east side of the street made in 2005. The injury occurred in 2010. 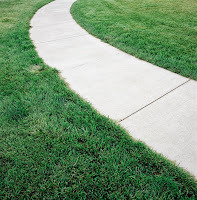 The Appellate Court decision determines that other sidewalk defects on the same block are not sufficient notice. Based on those facts, the Court determined that there was no actual notice. A witness was presented by the City who testified that the defect in the sidewalk might have occurred as little as three weeks before the date of the accident. The Plaintiff was unable to present any evidence that the defect existed for a longer period of time. 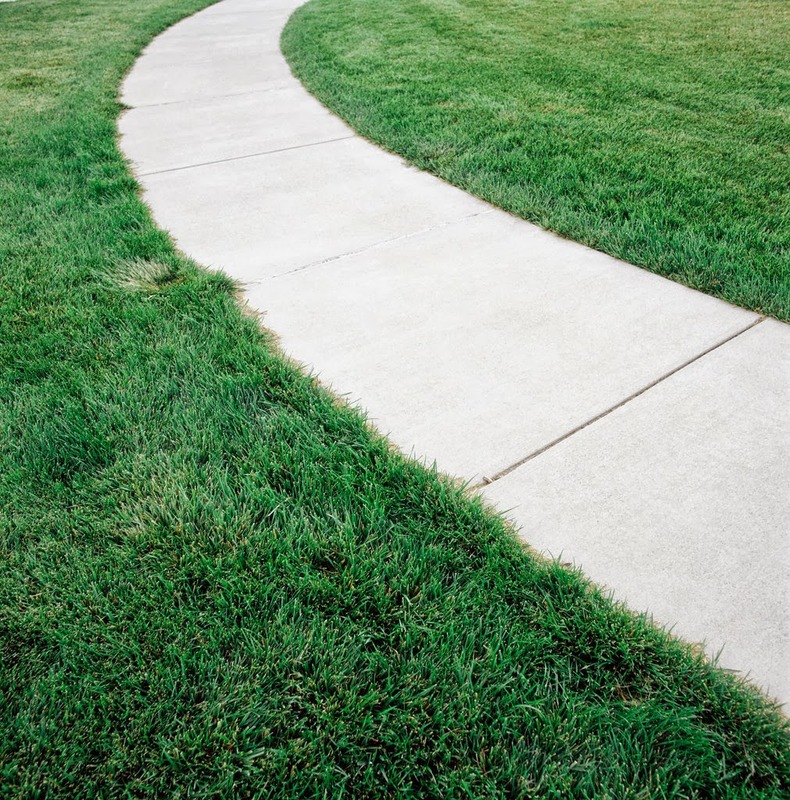 The Appellate Court decision contains many cases in which Plaintiffs were able to show that a particular area where the sidewalk defect occurred was well traveled and that the municipality should have known that a defect occurred because of other complaints. Unfortunately Ms. Zameer chose a quiet residential street on which to fall and could produce no actual history or implication that the City knew about the defect before the accident or should have known about it. Communities that can prove that they have active inspection programs and promptly fix known defects have a good chance of avoiding liability for random and obscure property defects. The PAC recently issued two new binding opinions (#15 and #16 for 2013). In PAC 13-015, the PAC found a public body in violation of the Freedom of Information Act and in PAC 13-016, the PAC found a public body in violation of the Open Meetings Act. In PAC 13-015, the Illinois State Police had received a FOIA request from the Chicago Tribune for copies of monthly crime report statistics submitted by the Harvey Police Department for 2012 and 2013. The ISP denied the request, claiming that the requested data was preliminary in nature because the local agencies that submit the data are permitted to review and verify the data prior to publication by the ISP. The data had not yet been reviewed by or published by the ISP. The Tribune appealed the denial to the Public Access Counselor of the Attorney General's office. The PAC reviewed the crime reporting forms submitted by Harvey, and determined that they were primarily statistical data, and not opinion documents. The PAC relied on federal cases interpreting the federal FOIA "deliberative process" exception in rejecting the ISP's justification that the records were still in their draft form and had not yet been reviewed or published. The PAC concluded that just because data may be subject to review and possible revision does not make that data preliminary or deliberative communications under the FOIA exception of 7(1)(f). The ISP was ordered to provide copies of the reports to the Tribune. In PAC 13-016, a school district had a board of education meeting where it also convened a closed session to conduct a dismissal hearing for a district employee. Following the closed session, the board reconvened to open session and board members voted to recommend the dismissal of a district employee. The employee was not named by the board in conducting its vote, and was reference as "Employee A". A complaint was filed with the PAC claiming that the vote to dismiss the employee violated the Open Meetings Act because it did not name the employee. The district responded to the complaint stating that it was protecting the reputation and privacy of the dismissed employee in not disclosing the employee's name in its vote. In this binding opinion, the PAC ruled against the school district, finding that Section 2(c) of the OMA requires a "public recital of the nature of the matter being considered and other information that will inform the public of the business being conducted." By taking "final action" without disclosing the name of the employee terminated by the school district board, the public was "deprived of any meaningful information concerning the practical effect of the Board's decision." The school district board was directed to take action to comply with the opinion, including reconsideration of the action in compliance with the OMA. The Illinois Attorney General's office often wears two hats when it comes to the Illinois Freedom of Information Act. First, the Attorney General is a "public body" subject to the FOIA. Second, the Attorney General office is home to the Public Access Counselor, the "enforcer" of the FOIA (as well as the Open Meetings Act). Recently, the Attorney General had occasion to wear both hats (public body subject to FOIA and enforcement agency). In Shehadeh v Madigan, 2013 IL App (4th) 120742 (October 4, 2013), the AG office received and denied a FOIA request, and then issued an opinion finding that the denial was appropriate. Without even mentioning the potential conflict of interest in this unlikely scenario, both the circuit court and appellate court ruled in favor of the Attorney General, finding that the Attorney General's denial of the request based on the unduly burdensome exception was proper. On February 11, 2013, the plaintiff filed a FOIA request with the Attorney General for "copies of any publications, opinions, reports or other records that would or could be used for guidance by [the Attorney General's] office or any other public body in complying with Illinois' FOIA laws." On February 15, 2012, the Attorney General stamped the FOIA request as received. On February 24, 2012, the Attorney General responded to the FOIA request by stating that the office had determined that producing copies of all of the requested records would be unduly burdensome under Section 3(g) of FOIA. The response asserted that a search had turned up 9,200 potentially responsive records, and that it would be unduly burdensome for staff to go through each file to determine which of these records were responsive and then review and redact exempt information from those responsive records. The response also requested that plaintiff narrow his request. On February 27, 2012, plaintiff responded that the response was untimely because it was not meet the 5 business day requirement of FOIA. Plaintiff also rejected the request to narrow and stated that the office was trying to circumvent FOIA. On February 28, 2012, plaintiff filed an appeal with the Public Access Counselor of the Attorney General's office. On March 8, 2012, the Attorney General responded to plaintiff's 2/27/12 letter by stating its response was timely, and reiterating its unduly burdensome argument. On March 9, 2012, the PAC office of the Attorney General responded to plaintiff's 2/28/12 appeal by stating that the Attorney General's response was timely and finding that the request was unduly burdensome in light of the 9,200 potential responsive records. On March 15, 2012, plaintiff filed suit in circuit court. The circuit court ruled in favor of the Attorney General, finding that it had complied with FOIA. First, a public body is not required to prove the adequacy of its search for requested records. Here, the Attorney General asserted that its search turned up over 9,000 records, and that was sufficient for the court. Second, nothing in FOIA precluded the Attorney General from asserting the unduly burdensome exception even after plaintiff refused to narrow his request. Third, the Attorney General was not required to provide affidavits of staff members or otherwise prove its claim that producing the records would be unduly burdensome. Section 3(g) only requires a public body to specify in writing the reasons compliance would be unduly burdensome and the extent to which compliance would burden the operations of the public body. Here, the Attorney General explained that staff would have to go through 9,000 records to determine if they were responsive and then review and redact exempt information. That was sufficient justification for the court. The court also rejected plaintiff's argument that the Attorney General has substantial resources at its disposal to deal with FOIA requests, finding that reviewing these documents would impede staff's ability to "perform its other duties in a timely fashion." This case is an important one for public bodies, as there has been little or no guidance from the courts on what is meant by the "unduly burdensome" exception to FOIA. Although FOIA is clear that a public body is entitled to use this exception after it has requested that a requester narrow a FOIA request, many public bodies have been hesitant to use this exception because of the very liberal review of FOIA challenges, particularly by the PAC office of the Attorney General, where all but one PAC binding opinion has gone against the public body. Public bodies now appear to have permission to use this exception, and a road map as to how to cite this exception by first requesting that the requester narrow his or her request, and if he or she refuses, citing written support for the exception by explaining why compliance would be unduly burdensome and the extent of those burdens. One would hope that the PAC and the courts will now be receptive to public body use of this exception so long as the public body's use is reasonable and justified. In 2002, a municipality and owners of 145 acres of undeveloped agricultural land entered into an annexation agreement to provide for the annexation and development of the property as a residential subdivision within the municipality. Pursuant to the annexation agreement, the Village agreed to install a sewer main with sufficient capacity to serve 450 homes, including a lift station if necessary. The agreement provided that the sewer line would be constructed within 12 months of the completion of a road widening project of nearby Illinois Highway 15. The agreement provided a penalty provision requiring the Village to pay a late fee in the amount of $300 per day. In 2011, the Village filed a complaint for declaratory judgment with the circuit court seeking a determination of its obligations under the annexation agreement. The Village acknowledged that the road widening project had been completed in 2009, and that the property owners had sent several requests to the Village for payment of the $300/day penalty fee. Shortly thereafter, the owners filed a counterclaim based on breach of contract. The Village argued that the owners' counterclaim should be dismissed because the Village had not made a "prior appropriation" of the funds necessary to construct the sewer project. The Village's argument was based on a provision of state law, 65 ILCS 5/8-1-7(a), that prohibits the Village from making any contract for the expenditure of Village funds unless a prior appropriation for that expense has been made. That statute also provides that any contract made without a prior appropriation is null and void. The trial court agreed with the Village, and dismissed the case. On appeal, the court reviewed the Village's appropriation ordinances and determined that no prior appropriation had been made for the sewer project. Village of Freeburg v. Helms, 2013 IL App (5th 120288-U (Rule 23 Order). Pursuant to state law, therefore, the annexation agreement obligation to construct the sewer line could not be enforced against the Village because the Village lacked authority to approve the annexation agreement without the prior appropriation. The court rejected the owners' argument that declaring the annexation agreement obligation void was "unconscionable," finding that the promise made by the Village was expressly forbidden by Illinois law. Illinois lawmakers have cleared the way for local officials to sell used bulldozers and backhoes online. A recent amendment to the Illinois Township Code gives township boards and road districts the authority to sell unused pavement saws, front end loaders and other surplus property on auctioneering Websites like eBay. Previous changes to the Township Code eased restrictions on the sale of surplus equipment, eliminating the need to put the matter to a vote of the electors, but there was confusion among some township officials as to whether they had authority to sell surplus equipment online. There was also uncertainty about which surplus property was eligible for online sale, and whether officials had to first conduct a sealed-bidding process before posting unsold items on the Internet. Public Act 98-0549 attempts to end that confusion by clarifying the rules governing the lease and sale of surplus property. The new law makes it much easier to unload unwanted fire hoses, snow plows and other items collecting dust in township storage facilities. The changes went into effect on August 26, 2013, the same day they were approved by Governor Quinn. Now, after township boards and highway commissioners declare specific property as "surplus," they can sell that surplus property by public auction conducted by a licensed auctioneer or through an approved Internet auction service. The amendment also eliminates language that drew a distinction between surplus property valued at $2,500 or less, giving officials more flexibility over what equipment can be sold. Once property is declared as surplus, township boards and highway commissioners will assess its value and recommend a listing price. The Township Officials of Illinois led the push for approval of Senate Bill 2268. Jerry B. Crabtree, TOI associate director, called the legislation a "clean up bill" that streamlines the process of selling surplus property. "It was kind of a gray area," Crabtree said. "With this, you can just go directly to eBay once the property is approved as ‘surplus.’"